A LEGENDARY SINGER FOR DHANUSH'S NEXT! Lyricist Vivek has always shared a very good rapport with Santhosh Narayanan and they have given successful numbers in films like Enakkul Oruvan, 36 Vayadhinile, Irudhi Suttru, Iraivi, Kabali and so on. 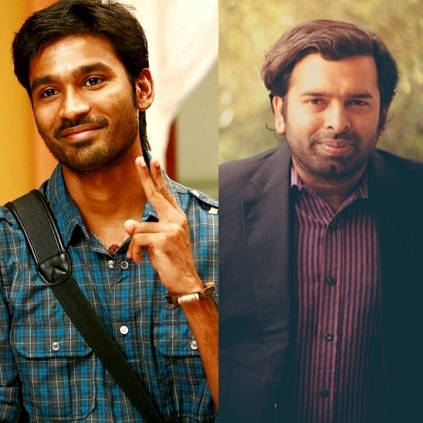 The duo have joined together once again, this time for a song in Dhanush starrer Kodi. Ace singer Chithra has crooned her voice for this number. This is the first time Chithra is singing for Santhosh Narayanan and the song is said to be a soul-stirring one. An elated Vivek posted on his social network "Santhosh Narayanan sir n d legend #Chithra ma redefining d term 'Soul Stirring'. I am proud to have Pend 4 dis intense Masterpiece. The song is One of the very best, as it is sure to satisfy the purpose for which music is made - to transport emotions in d purest form to all. Chitra ma singing this is one of d best moments n recordings of my life. #Dhanush sirs #Kodi"
Kodi, directed by Durai Senthilkumar is planned for a Diwali release. The songs are expected to release very soon. Mandira Bedi is back to Kollywood after 12 years! One spot for Iru Mugan in the Top 10! Look who is playing Vikram’s pair in his next? Rajini or Ajith or Vijay? Who is playing the cameo? People looking for online information on K S Chithra, Kodi, Santhosh Narayanan will find this news story useful.